Android smartphone owners have lots of options to choose from when it comes to Music Player apps in Google Play Store. Here in this article we are covering 15 Best Music Players app for Android. In case you have your own music collection and you don’t rely upon subscription music then you can check these 15 best apps out. Many of these apps are free or have free trials, even when they are paid for full or Pro version. We always try to find best Android apps and share with you so that you can take advantage of the best Play Store has to offer. You can read all our best recommended Android articles by clicking here. Certainly one of the best Music Player apps available for Android. 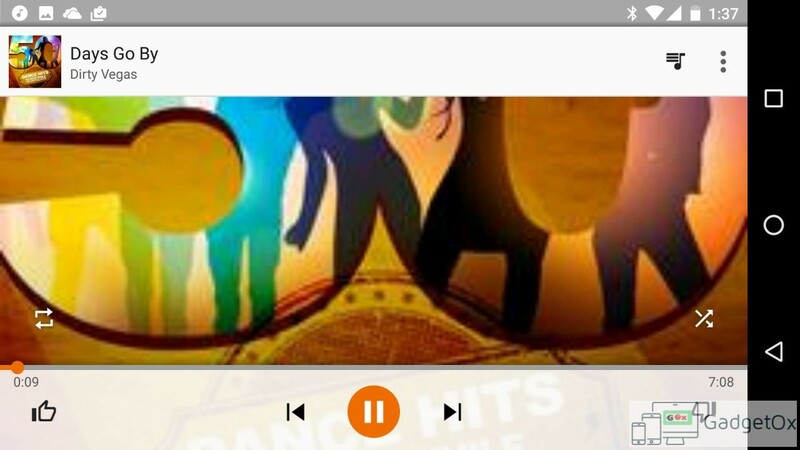 Fully feature packed and favorite of many this is one of the best Music Player to have on your Android device. You can try the 15-days full-access trial and chances are you would like it enough to buy it. It is a very good music player and comes free with option of unlocking the premium music player features. Great UI and feature-packed. It is a light-weight yet intuitive Music Player for Android. It comes with features like 6- band equalizer and Gapless PlayBack. It is one of those Music Players for Android that has been liked by most of the users due to its gorgeous design and features that focus on usability. • Browse and play your music by albums, artists, composers, genres, songs, playlists, and folders. • Mixable AUDIO EFFECTS for Android >2.3 devices: 5 band graphic EQUALIZER with over 20 default presets, STEREO WIDENING effect, REVERB effects, BASS BOOST effect, playback PITCH/SPEED control, left-right volume balance. • FREE additional DSP PLUGIN: 10 band graphic EQUALIZER with over 20 default presets, PRE-AMP control, BASS BOOST control, STEREO WIDENING control, GAPLESS, CROSSFADE and REPLAY GAIN support. Go to Settings > Audio and select “Download DSP pack” option to install the free plugin. • Music stats and SMART PLAYLISTS: enjoy Top rated, Most played and other default playlists. Build additional custom playlists using the SMART PLAYLIST EDITOR and the many different criteria it offers (album, artist, genre etc). • Choice of 5 different home screen WIDGETS (4×1, 2×2, 3×3, 4×4, 4×2). All widgets are customizable and skinnable: 6 different SKINS available, option to display artist picture instead of album artwork, option to display ratings, shuffle/repeat controls etc. – Supports the standard local music file formats such as MP3, WAV, OGG. – Build in Equalizer, bassboost & 3D surround virtualizer or option to use external Equalizer. – HD Album cover management, auto and manual. – Changeable Themes, fonts and colors. * Replaceable background skin, 22+ Gorgeous background skins for your choice. You also can set your gallery photo as background. * Free to re-edit album and artist name. – Live list playlists create playlists from song metadata, user generated metadata (play counts, time, date, etc.) and more.